Right now, you’re probably seeing many different types of weeds pop up in your landscape and lawn. It’s that time of year when temperatures have warmed just enough to kick off growth in many fall-seeded weeds. 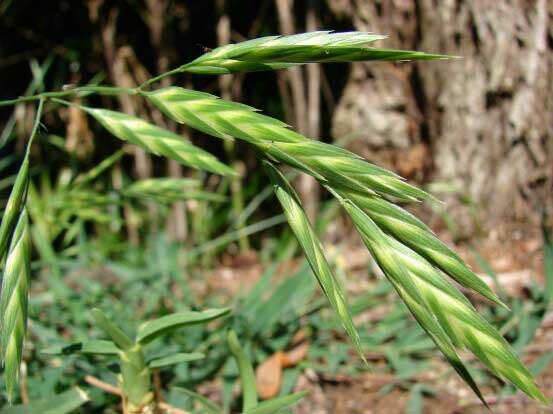 Bromus catharticus, otherwise known as rescuegrass, is a big culprit this time of year. While this grass is very beneficial to wildlife as a food source throughout the state, it’s typically not something we like to see in our manicured lawns. The good news is, this grass weed will naturally die off as the weather warms over the next month or two. If you have an all-organic landscape, be patient. The cool season weeds you’re seeing now will soon die down and be over-taken by your warm season turf. If you are having issues with weeds in your turf or gardens beyond what you are able to take care of, contact us through our handy Contact Form here.